Are you a current policyholder with T.H.E. Insurance? Worried about being given only one policy option? Unsure who actually represents you? …Now what? As a current customer of T.H.E. 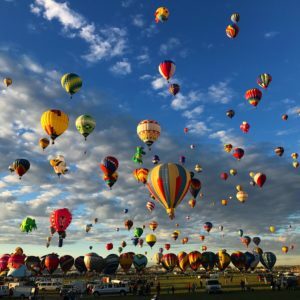 Insurance your hot air balloon policy is being non-renewed due to your current agent no longer representing the company. As we all know, pilots need options to keep our insurance affordable and competitive. Aviation Insurance Resources (AIR) has entered into a partnership with T.H.E. and will continue to offer you the choice at your renewal. All it takes is an Agent of Record Letter (AOR). 1. Sign an AOR designating AIR to represent you. This can be done anytime during, or if you have lapsed, after your policy term. 2. Once you have submitted the AOR to AIR, we will represent you in servicing, maintenance, and renewal of your insurance coverage moving forward. Not only will you have an active and experienced Hot Air Balloon pilot as your agent, you will have a team of aviation insurance professionals (all pilots) available to you; providing you with the peace of mind you deserve. Note: T.H.E. Insurance Company cannot disclose any information or discuss your account with AIR without an AOR. This will not affect your ability to receive a quotation from any other insurance carrier. If you are not with T.H.E. and would still like an insurance quote, request one online or call 301.898.2120 today!